The Microsoft’s most attracting feature is the contact view that keeps all your contacts organized and easily traceable without any hassle. 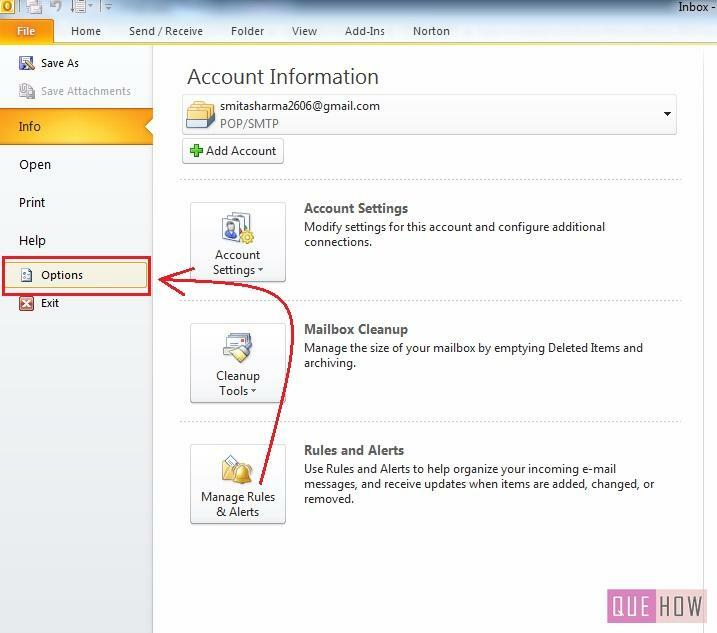 Contacts in Outlook contains the address books ,which sooner or later, you may need to make the copies of it. 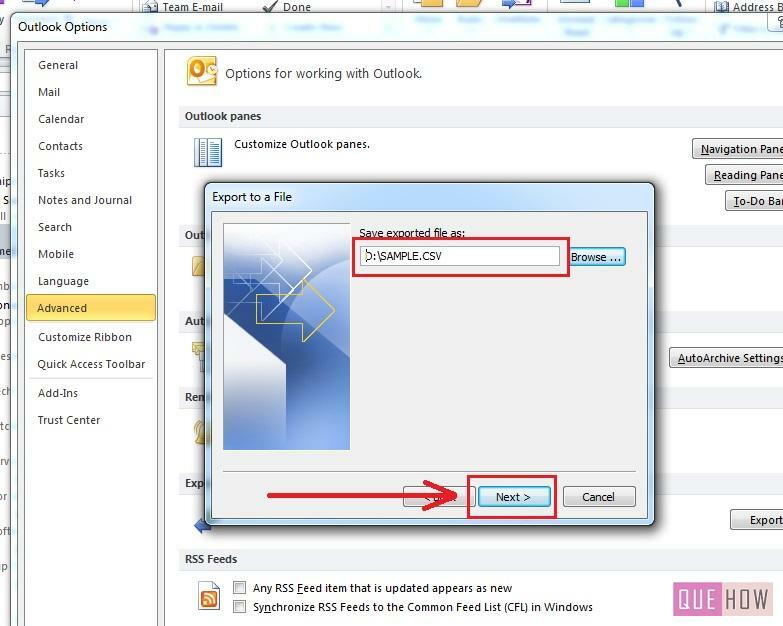 If you want to copy the contacts in another file, you can export these contacts to that file in various formats such as web mail clients, excel spreadsheets, or database applications. Comma Separated Value (CSV) file are the most commonly used file format. 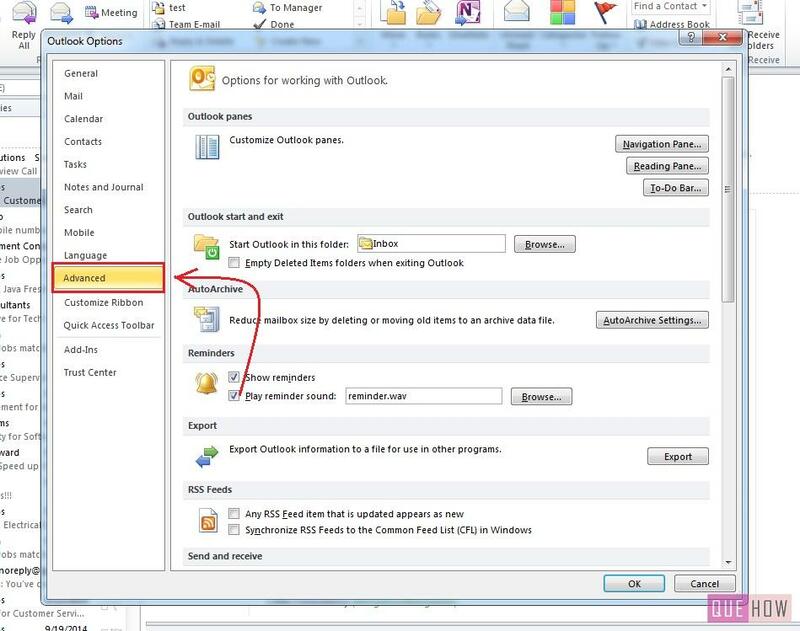 Exporting contacts from outlook to excel is an easy process which can be done by following the simple steps. 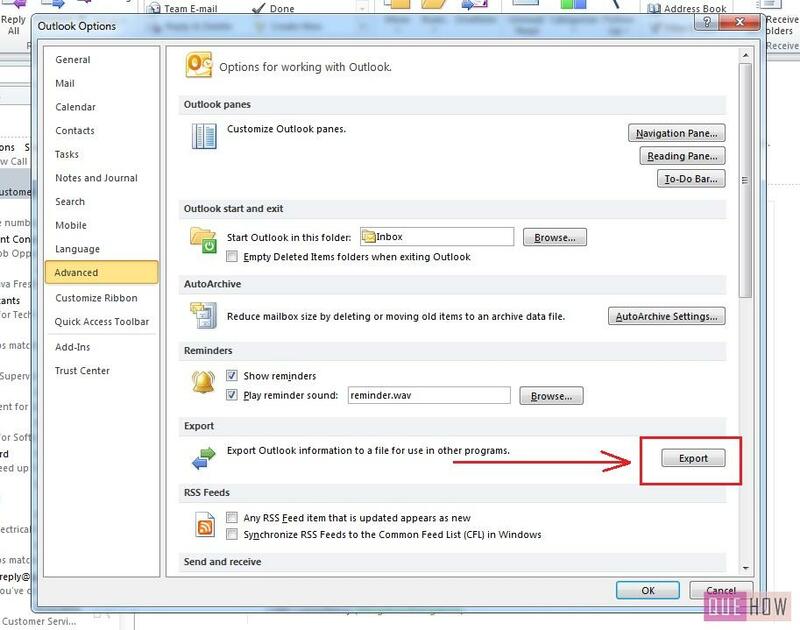 Step 1: Open Microsoft Outlook 2010 on your computer system. Step 2: Click the “File” tab on the top of the screen and select “Options” from the left navigation bar as shown in the image. Step 3: You will find “Advanced” option from the left side navigation bar in the “Options” window. 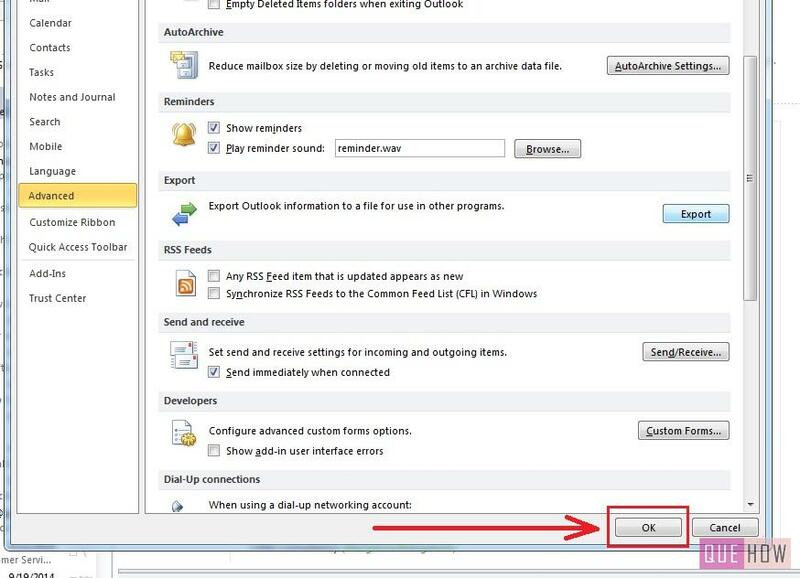 Click it to open advanced features of outlook 2010. Step 4: Click on “Export” button as shown in the image. The “Import and Export Wizard” window will then open. 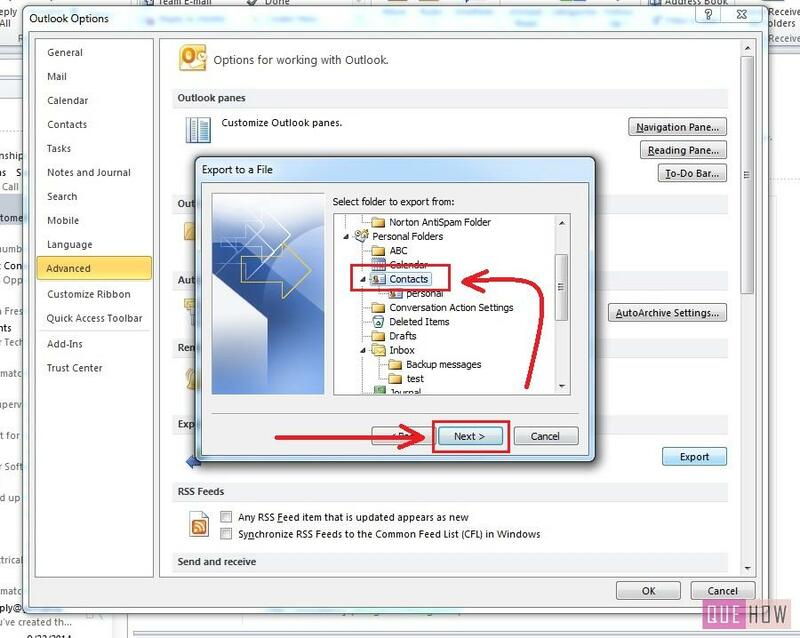 Step 5: Select “Export to a file” option from the list and click on “Next”. Step 6: You have to select an option from the given formats available for exporting. You will find various formats like text files, databases, spreadsheets, and a personal folders file. 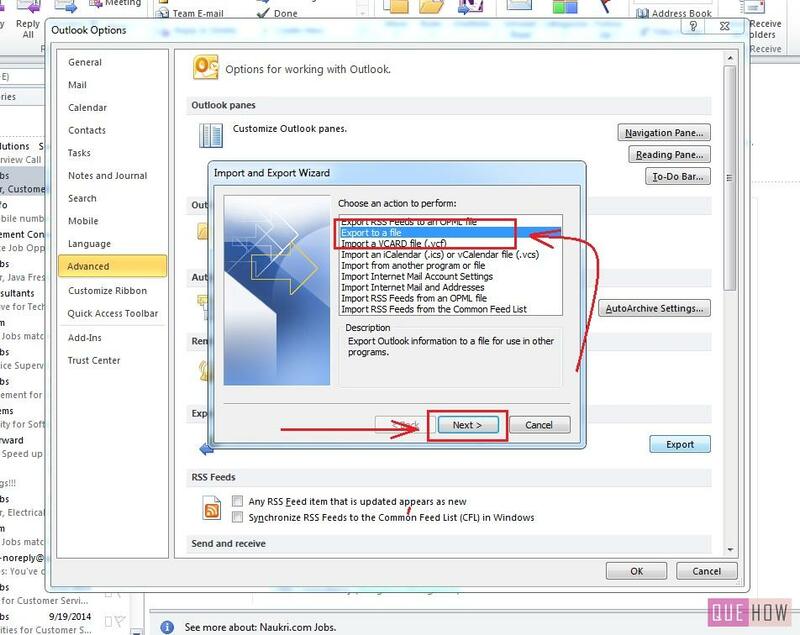 Select “Comma Separated Values (.csv)” option if you are using Outlook 2010 on a Windows computer, and you want to import it to an unrelated program. 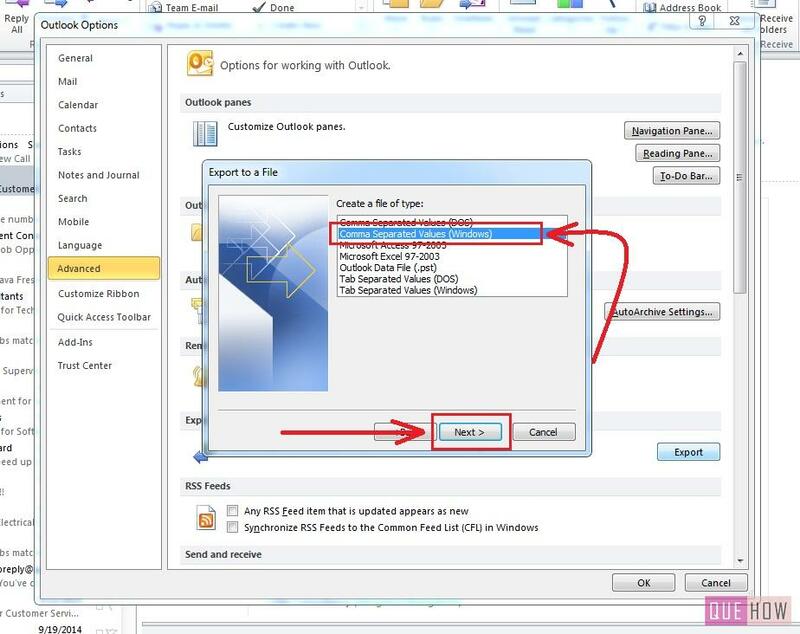 Select “Excel spreadsheet option (.xls)”, if you want to gain access to the file for a backup or spreadsheet function. 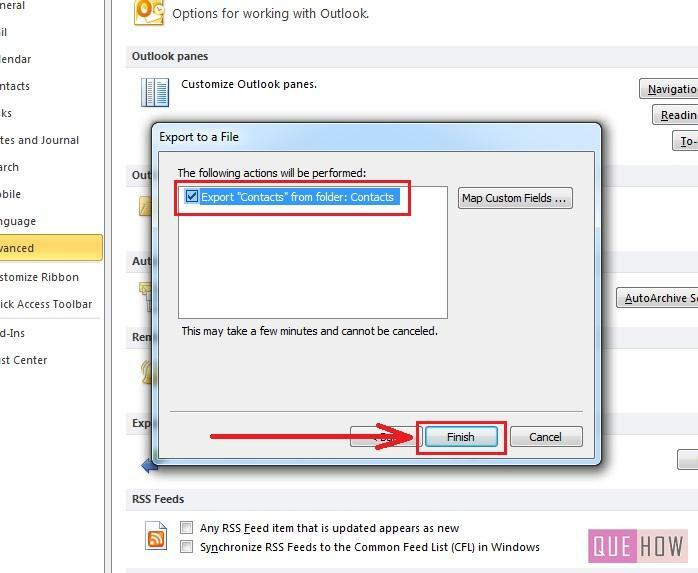 Step 7: Select “Contacts” folder from “Export to a file” window and then, click on “Next”. 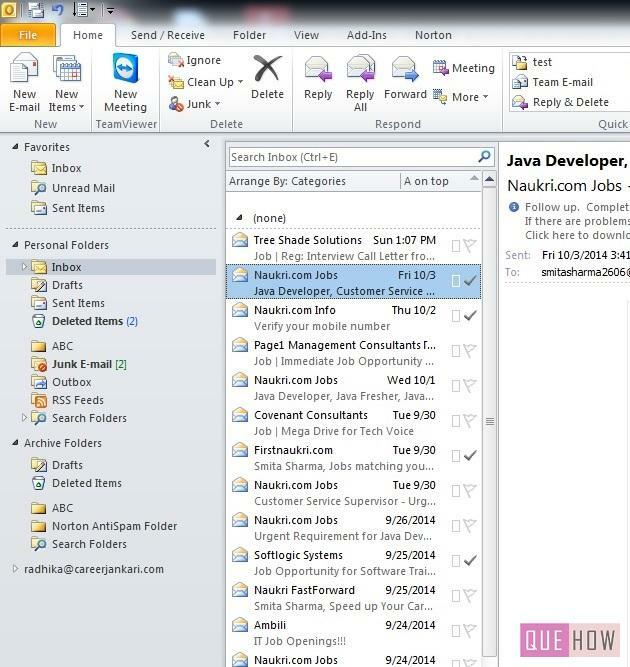 Step 8: Browse the file name from your computer as shown in the image. Choose the file name and the type of the file and click on “OK”. 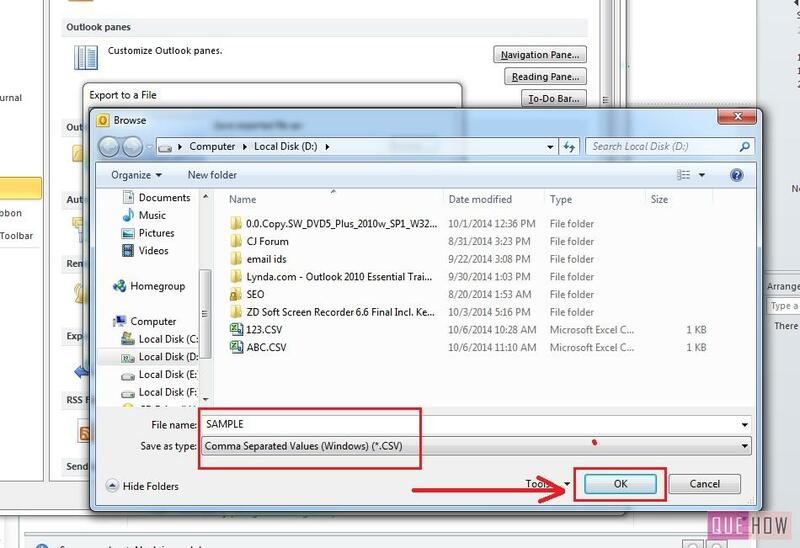 Step 9: Click “Next” after saving the file in “Export to a file” window. Step 10: Check ‘Export “Contacts” from folder: Contacts’ and then click on “Finish” to complete the exporting. Step 11: Finally click on “OK”. Your contacts has been exported to the file you selected.